Compost! The (mini-)Musical wins national award! Well, what do you know? My eco-musical ‘Compost! The (mini-)Musical‘ – an edu-taining way for children and grown-ups to learn about how (and why) to compost – has just won a national award! 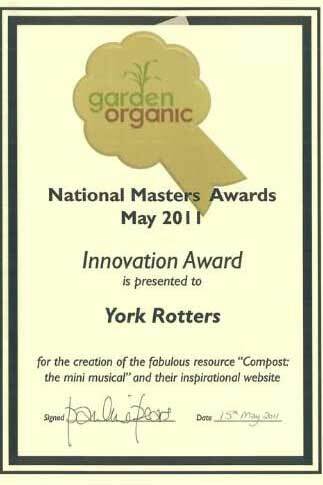 As you can see, this Garden Organic National Masters Award was presented to York Rotters, who commissioned Compost! The (mini-)Musical from me, and with whom I work closely to deliver teaching sessions all over York – as you can see here and here. It was Keely Mellor, the then York Rotters Co-ordinator who, back in 2007, commissioned me to ‘come up with something’ about composting. 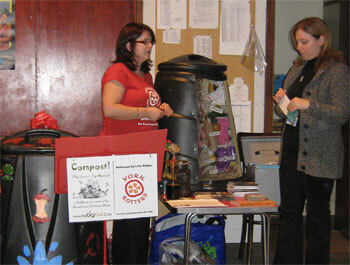 She invited me to attend a York Rotters compost training day, and lo, Compost! The (mini-)Musical was born! 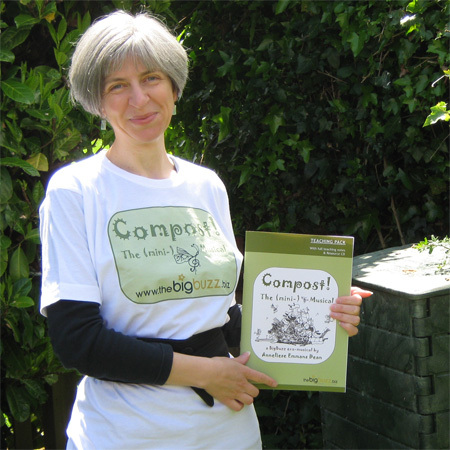 In 2009 I published a comprehensive Compost! The (mini-)Musical Teaching Pack with Resource CD, so anyone anywhere can teach and put on the musical. So far, packs have been sold as far afield as America, Portugal and Turkey – as well as to schools in Britain. Order your copy here! A big Thank You to everyone at York Rotters, especially the current Co-ordinator Catherine Bamford, and the good folk at York Environment Centre, for all their support and encouragement over the years. And thank you to the Master Composters at Garden Organic, for recognising us with this award! Find out more about York Rotters and our Compost! The (mini-)Musical activities by clicking here, and scrolling down through the posts. To put on Compost! The (mini-)Musical where you are, order your copy of the Compost! The (mini-)Musical Teaching Pack here. If you’d like any further information, email me!